Adderall is a drug in the class of CNS stimulants used to treat attention deficit hyperactivity disorder and narcolepsy. However, it may cause serious weight loss, and the Internet is awash with several weight loss stories. How Does Adderall Cause Weight Loss? How Fast Do You Lose Weight on Adderall? What Risks are Associated with Adderall Use for Weight Loss? 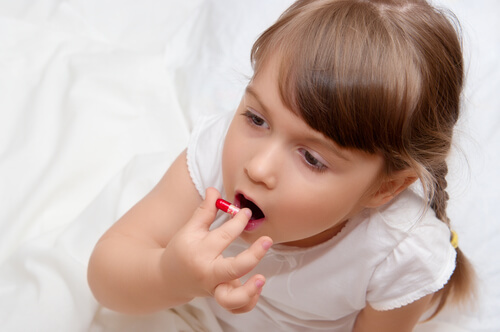 How Does Adderall Affect Weight in Children? Increasing calorie expenditure – Amphetamines cause increased energy expenditure by increasing the body’s rate of metabolism or breaking down nutrients, and increasing muscular activity by causing an individual to become restless. This increased muscular activity burns calories to produce energy. Reducing food intake – Individuals who use Adderall observe a reduced food ingestion. Two reasons account for this: appetite suppression, as well as reduced tone and movement of the intestines which causes early satiety. Reduced digestion and absorption of food – Amphetamines cause reduced movement of the intestines and reduced secretion of digestive substances, leading to poor digestion and absorption, ultimately, leading to significant weight loss. Reducing water intake and increasing water excretion. This loss of body water contributes to the loss of body weight observed with the drug. Adderall and weight loss, therefore, have a causal relationship. When comparing Adderall vs Vyvanse weight loss, it is important to outweigh both efficiency and safety, as far as both medications have certain adverse reactions. Does Adderall help you lose weight? Yes, it does, but the U.S. Food and Drug Administration (FDA) approved the use of this drug for treatment of ADHD and narcolepsy only. Use of amphetamines for weight loss was not approved, that’s why it cannot be officially prescribed to that end. However, your doctor can prescribe the drug off-label for it, which means that that use or purpose of the drug has not been considered or accepted by healthcare authorities. You should not use it for this purpose on your own unless prescribed by a doctor. Having a prescription is necessary because your doctor will monitor you to ensure the drug does not cause toxic effects. You may not be able to identify, prevent, or control the drug’s toxic effects if you use it without a prescription from your doctor. This is the reason why the U.S Drug Enforcement Agency labels the amphetamine-based medication as a schedule II controlled substance. The normal therapeutic dosage for adults is 5mg to 60mg and weight loss dosage falls within this dosage range, however, many people take the drug at doses much higher than this, and this may be a problem. However, how long does it take to lose weight on Adderall? This may depend on a number of factors including the dosage used, frequency of intake, and genetics. Generally, Adderall weight loss average 10 kg within 6 months of use for men and women. The form of the drug used also influences how fast one can lose the excess fats. This drug is available in two forms: immediate release and extended release forms (Adderall IR vs XR). Adderall xr weight loss is typically more likely than with the IR form, except if the IR version is used several times in a day. Both usage may, at certain doses, cause significant weight loss in a week. This may make people consider how to lose weight on Adderall xr because it is more likely to yield fast results with a convenient dosage. The problem with Adderall weight loss is the chances of developing adverse and addictive effects. If you have wondered if Adderall is a narcotic, it is not. However, it is a highly addictive stimulant and may cause dependence and tolerance which will both lead to overdose symptoms and complications. Its addictive effect causes a strong desire for the euphoria and high amphetamines cause and becomes the only motivation for using the drug. If you use Adderall for weight loss, chances are you may take the drug at doses higher than recommended. Over time, this leads to tolerance, where your body requires a much higher dose to achieve its effects and this will increase the risk of developing signs of overdose. Some of these signs of Adderall use include confusion, headache, irritability, hyperactivity, vomiting, abdominal pain. Long term side effects of Adderall include hallucinations, panic attacks, elevated body temperature, convulsions, high blood pressure, heart attack, and death. 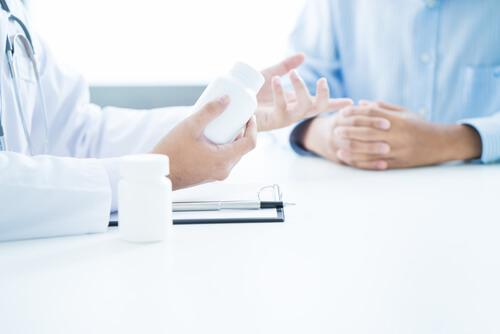 If you use the drug without your doctor’s prescription or advice, you may not be aware of the precautions you should take and the potentially dangerous interactions of Adderall. Complications of amphetamine abuse include malnutrition, hostile behavioral patterns, and stroke. Additionally, achieving weight loss this medication is associated with long term use which increases your chance of having withdrawal symptoms if you stop taking it abruptly. Some of these symptoms of withdrawal from Adderall include fatigue and sleepiness, increased appetite, depression, slowed movement, memory loss, difficulty concentrating, and irritability. Therefore, if you are considering losing weight on Adderall, speak to your doctor. In addition, the U.S Food and Drug Administration (FDA) classifies this medication as a pregnancy category C drug, meaning that its safety in humans has not been concluded although it has shown adverse effects in pregnant animals. Therefore, using Adderall during pregnancy is not recommended unless prescribed by a doctor if the benefits outweigh any risks to the baby. Some effects of the drug on the baby include premature birth and withdrawal syndrome. Adderall is used for the treatment of ADHD in children and it also causes stunted growth. Ran D. Goldman’s study on ADHD stimulants and their effects on children shows that children who use it develop slowed growth, however, this causes change when the drug is stopped as these children achieve higher body mass index (BMI) than children who did not use amphetamines. If your child’s doctor prescribes it for your child, express your concerns to your doctor who may refer you to a dietitian or nutritionist to guide you in instituting an appropriate diet plan for your child to maintain a healthy diet. Should I use Adderall for Weight Loss? Adderall is a highly addictive and If your doctor prescribes it for you to lose excess fats, there are a few things you may do to avoid these addictive effects including informing your doctor about other medications you use, providing your medical history, and following your doctor’s instructions. So, does Adderall cause weight loss? Yes, it does. However, If you desire to lose excess fats and wondering how to lose weight with Adderall, it may be better to use non-drug approaches such as dietary control and exercise. Note that amphetamines are highly addictive and it is quite easy to become dependent. Efficient treating addiction to illicit substances requires a professional approach. However, there are many rehab facilities with experienced medical professionals and proven therapy approaches to help one in this combat. If you or your loved one has any questions concerning Adderall use for weight loss, call our 24/7 hotline on (888)-459-5511 to speak to our representative.